*Disclosure - Some of the product in this post was sent for my honest opinion and review. Love it!! Thanks for sharing that :D I will always love Dorothy! This is beautiful!! The two colors look great together!! 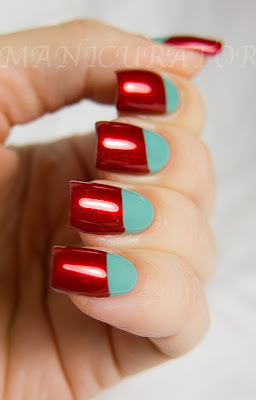 There is nothing more classic that turquoise and red! That red is GORGEOUS! 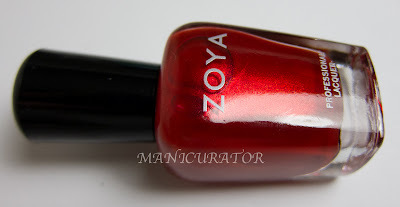 Such a deep and rich shade <3 Beautiful design as well! hot damn. this is the best looking red mani i've ever seen! Wow. 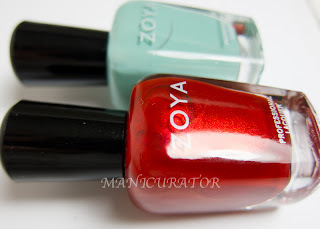 I love the post about Dorothy and yes, this is an amazing red mani, so stunning. Also your nails are just stunning! I am booking marking this post for sure to try. Gorgeous! It's a hit! I love it! I love the colour combo and contrasting finishes, so fun! 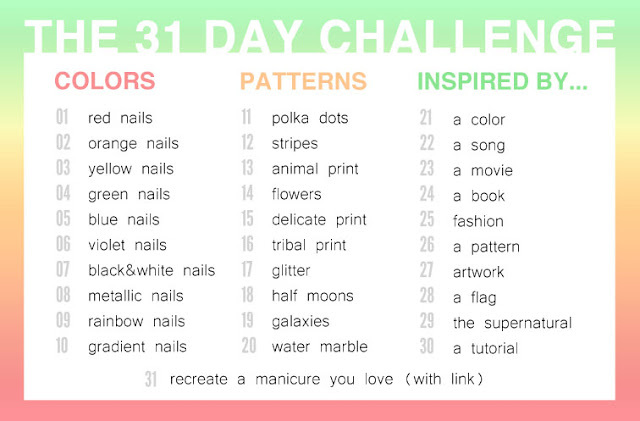 yay - 2 challenges together, WE CAN DO IT !!!!! How gorg is this?! Foxy! Just great! I'm your newest fan! LOVE THIS! What a beautiful combo, def going to try this out soon. This is a total HIT! I have to be a contrarian and say I don't like the two colors together. It just looks weird to my eye. 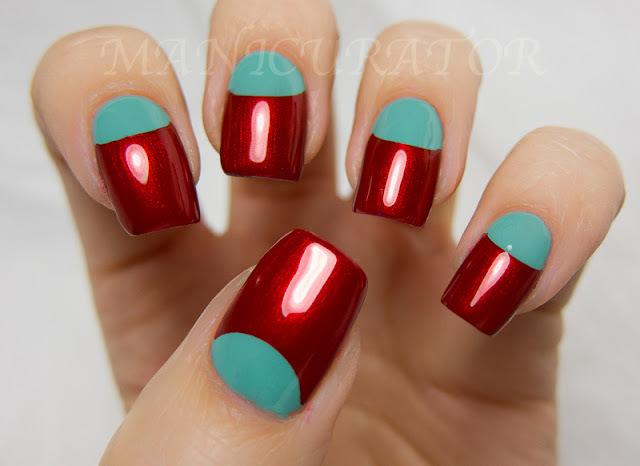 Great half moon design,though, and the red polish looks very nice.